Does the word "hijajin" in V.28:27 refer to hajj or years? Muslim Villa > Forum > Category 5 > THE GLORIOUS QURAN > Brief explanation / tafsir of Quran Verses > Does the word "hijajin" in V.28:27 refer to hajj or years? "The father said, ‘I would like to marry you to one of these daughters of mine, on condition that you serve me for eight years: if you complete ten, it will be of your own free will. I do not intend to make things difficult for you: God willing, you will find I am a fair man.’ (28:27) Surah Al-Qasas. (Translation Abdel Haleem). In the above Verse 28:27 of Surah Al-Qasas, almost all recognized translators have translated the original words "thamāniya ḥijajin" as "eight years" except a few including Pickthall who have translated it as "eight pilgrimages" or "eight seasons." Does the term "hijajin" also correspond to "years"? Moreover, does "pilgrimage" refer to Hajj in Mecca? Re: Does the word "hijajin" in V.2827 refer to hajj or years? Wa'Salam sister. In my opinion, in this Verse "hijajin" apparently defines the same as "years." Since hajj or pilgrimage comes once a year, thus obviously eight pilgrimage seasons would mean exactly the same as eight years. I think yes, it does mean Hajj in Mecca. This is the period of Prophet Musa (pbuh) who lived at least 1,000 years after Prophet Ibraheem and his son Ismaeel. The Kaa'ba was built by Prophets Ibraheem and Ismaeel in Mecca. Visiting the Kaa'ba for worship of Allah alone had begun from that era. So I am sure during the time of Prophet Musa the concept of performing Hajj in Mecca did exist. However, it's very likely that by that time the Arabs of Arabia had corrupted the concept of Monotheistic worship, filling the Kaa'ba with idols, and therefore Monotheistic worship of Allah in the Kaa'ba had ceased. Nonetheless, Allah Almighty had already sent the Message of Monotheism and established the practice of performing Hajj, and Verse 28:27 is referring to that. This is how I would analyze it. 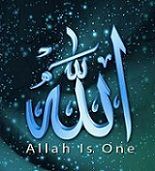 Only Allah is the All-Knower. May HE grant us guidance. Ameen ya Allah. Shokran brother. This is what I wanted to know.